Printed on a linen finish, this beautiful card measures 140 x 140 mm and is blank inside for your personalised message. 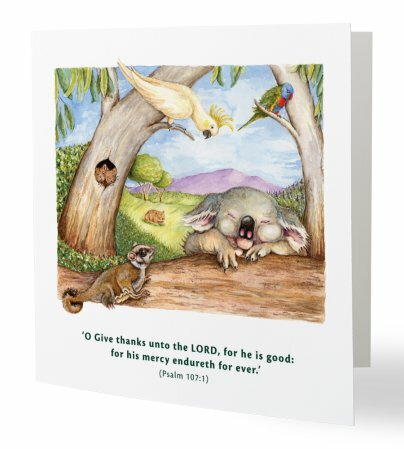 Displayed on the front of the card is a King James Bible scripture from Psalm 107:1. Each card is individually wrapped in a cello bag and includes an envelope.